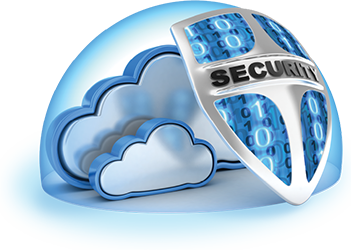 Every large organization has invested in Internet security and compliance infrastructure. Some have made massive investments in on-premise security hardware, software and operations. But no one is perfectly safe. This is why a defense in depth strategy makes so much sense—and layering a cloud-based Internet security platform like Zscaler on top of your existing security infrastructure will greatly improve your overall security and compliance position. Said another way—if your security is today at a six or a seven, adding Zscaler can quickly and cost-effectively help you get it to an eight or a nine. This is why some of the most sophisticated security teams in the world—from leading organizations like General Electric, Nestle, Humana, Schneider Electric, United Airlines, the National Health Services of Britain, the United States Marines, and even NATO—have all deployed Zscaler for their Internet security. Zscaler is unique in our ability to cost-effectively add an extra layer of security and compliance between your existing infrastructure and the Internet. In every case, Zscaler finds and blocks security and compliance threats that are going undetected by your current security systems. This is true for every one of the more than 5,000 organizations that have adopted our Security as a Service platform. For example, when you implement Zscaler Internet security, you are likely to find that five to ten percent of the devices on your network are infected by botnets, compromised by other malware, or are otherwise exhibiting symptoms of security or compliance problems. We find this consistently with nearly all of the organizations we engage with, including some of the largest global 1,000 enterprises, governments and military organizations. There are a long list of technical reasons for our ability to improve your current security posture, ranging from the fact that we always scan every byte of your Internet traffic, no matter how positive the reputation of the site you are visiting, to our ability to intercept and inspect SSL encrypted content, to the 100% in-line, real-time processing performed by our platform, to the unique insight we gain into advanced and zero-day threats from the massive scale of our global network. As our 5,000+ customers have seen, you can immediately enjoy an increased security posture by routing your Internet-bound traffic through Zscaler, after it transits your current security infrastructure. Skeptical? We can prove it. Try out Zscaler Security Preview. It will test your security infrastructure and give you an indication of whether your current system has holes that we can fill—in less than two minutes. The next step is a free Zscaler trial—in which you route a subset of your Internet traffic through our cloud-based Internet security platform. Test driving Zscaler is free, fast and easy to get started. You’ll learn right away, like the rest of our 5,000 customers, precisely which of the five to ten percent of the devices on your network are behaving badly—and you will immediately improve your Internet security and compliance posture. Adding an extra layer of security and compliance “in the cloud” and / or closing security and compliance holes for your mobile, contract, road warrior and guest Wifi users are two of the most common ways that organizations get started with Zscaler. But that is just the first step—after implementing Zscaler, nearly all organizations quickly find that they can soon eliminate and consolidate on-premises security hardware—typically more than paying for the cost of Zscaler. Our customers have shifted millions of users off of Bluecoat, Websense and Scansafe Secure Web Gateways, avoided the purchase of tens of millions of dollars worth of FireEye Advanced Persistent Threat boxes, and averted the need to install thousands of SSL decryption boxes—just by adopting Zscaler. And they have saved millions of dollars in the process. So whether you want to raise the height of your security walls by adding Zscaler as an extra layer, close the security and compliance gaps created by your road warriors, mobile users and guests, or stop wasting money on expensive, outdated security appliances—Zscaler has a solution for you.